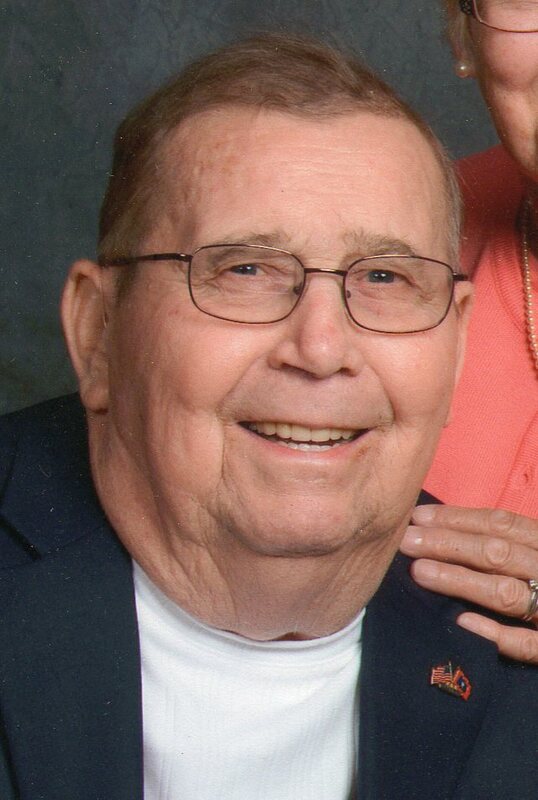 Allen D. Boedeker, 80, of Fremont, OH passed away on Tuesday, January 02, 2018 at Valley View Health Campus in Fremont. He was born on September 9, 1937 in Macon, MO to Arnold J. and Gladys M. (Squiers) Boedeker. He was a 1955 graduate of Fremont Ross High School and attended Tiffin University. Allen served in the U.S. Navy from January 4, 1956 until November17, 1959 and was Honorably discharged. He married Eunice M. Genzman on September 9, 1961 at St. John’s Lutheran Church in Fremont and she survives. Allen worked at Ludlow Composites for forty-two years until he retired in 2002. He was very active in the Fremont Elks where he was a forty-year member and former Trustee. He was also very active in Boy Scouts and Little League as a coach. He was a member of St. John’s Lutheran Church. He enjoyed playing softball in his younger years and was involved with his children’s activities. Allen was also an avid fan of the Cleveland Indians and The Ohio State Buckeyes. Allen is survived by his wife of fifty-six years, Eunice M. Boedeker, Fremont, OH; children, Laura L. (Arnold) Wilson, Grants, NM and Andrew C. (Karen) Boedeker, Perrysburg, OH; brother, Arnold E. (Karol) Boedeker, Fremont, OH; grandchildren, Cayden, Kolten and Kylan Wilson and Summer Boedeker and several nieces and nephews. He was preceded in death by his parents and granddaughter, Kelsey Marie Wilson. Visitation: Friday from 2 to 4 and 6 to 8 p.m. at Wonderly Horvath Hanes Funeral Home and Crematory, 425 E State St., Fremont, OH. Service: Saturday, January 6, 2018; 10:30 a.m. at St. John’s Lutheran Church, 212 N. Clover St., Fremont, OH with one hour of visitation prior to the service at the church. Burial: Greenlawn Memory Gardens, Clyde, OH with military honor’s provided by the American Legion and V.F.W. Sending condolence, thoughts and prayers to you all…was sad to hear this! I’m sorry for you loss, I worked with Al for quite a few years at Ludlow. I am so sorry to read of the passing of Mr. Boedecker. He looks in his picture almost exactly how I remember him. You have my heartfelt sympathy during this difficult time. Laura I am so sorry for your loss. You and your family are in my prayers. Sorry for your loss Laura. May you be comforted by your family. I will be praying for you. I worked for UPS and would see Al at Ludlow. He was a very kind person and always polite. He always spoke to me when I would see him out and about. Al was a good person and will be missed. Eunice–sorry to read about Al passing. Always enjoyed talking to both of you at the therapy work out, I will be unable to make the visitation & service I’m still recuperating after my latest health issue. Deepest sympathy to you and the family. My girls remember his love for playing pinochle at the Rust Family Reunions. So very sorry that we can not be with you during these difficult times. Our thoughts and prayers go with all of you today and always. My deepest condolences for the family. My prayers are with you all.